She has owned a small business in Massage Therapy since the fall of 2015. 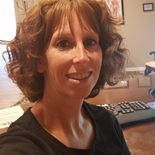 Previous to owning a business, she worked along side chiropractors for two years where she assisted the chiropractors and helped with Physical Therapy. Angel received a certificate in Reflexology and Massage Therapy from the Academy of Reflexology and Massage in 2013. Angel is a certified and insured Massage Therapist that helps clients heal from aches and pains using the alternative/holistic therapy of massage. Massage Therapy has no side effects, just feeling restored. Angel enjoys fishing, camping, and planning for the next adventure with her husband and three children. Tabitha began her career as a Massage therapist in 2010 while attending school at Georgia Career Institute in Murfreesboro, TN. She specializes with clients who have fibromyalgia, sciatic pain, migraines, and sports related injuries. But she is always happy to accommodate anyone that wants a relaxing experience. Tabitha’s interests are spending time with her husband and three children, bargain shopping, painting, and photography.